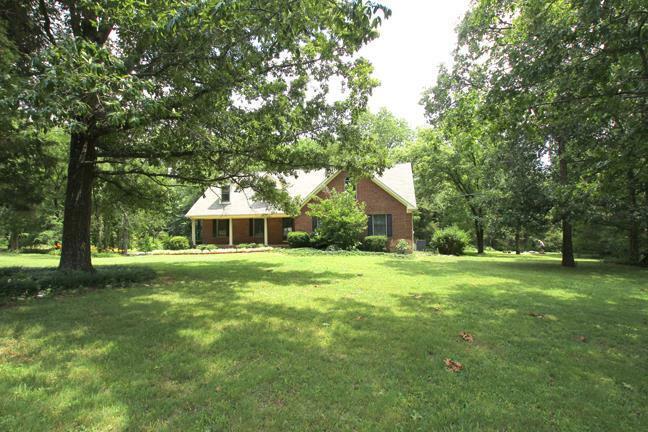 All-brick home tucked away just outside of town on 1.8 acres. 3 beds and 2 1/2 baths on main floor. Upstairs has a large common area with hardwood floors, 2 bedrooms with new carpet, a wet bar, and a full bath. Shaded deck and 2-bay garage on the back side of the house. Amazing privacy only 6 miles from the public square.